Hi there! I wanted to let you know that I’m starting a new series on my blog … Crushin’ On. It will feature my latest crushes & things I love. 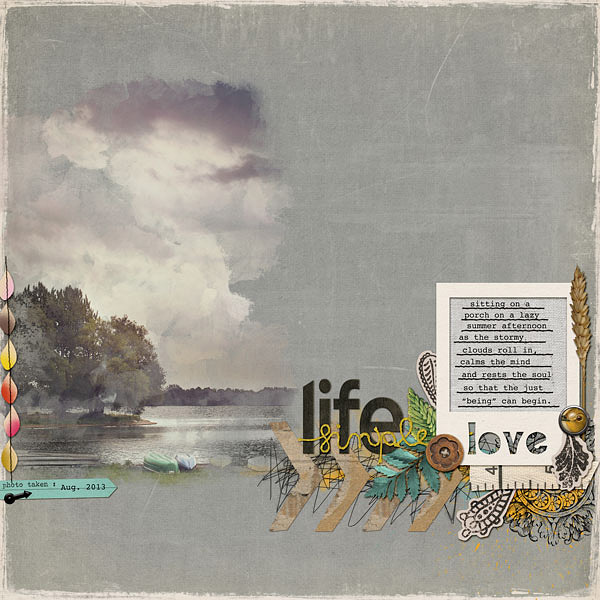 Anything and everything … from Digital Designers, scrapbookers, Etsy love, crafters, fashion, trends and artists. Each Crushin’ On feature will be categorized under the appropiate menu on my blog header for easy navigation! 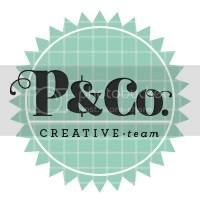 Stitch: is where you will find all things crafty and DIY; whether it be creating pretty things for home decor, crafty tutorials, fashion, sharing recipes and ideas for dinner planning, updates on sales & new products in my felt accessories Etsy shop: Pretty in Posies, or lifestyle posts. Snap: is where you will find all things photography, scrapbooking, memory keeping, and Project Life. Sketch: is where you will find all things illustration and graphic design; I might share something from my sketchbook, a digital freebie, a tutorial, or some of graphic design work. Today … to kick off my new Crushin’ On series …. 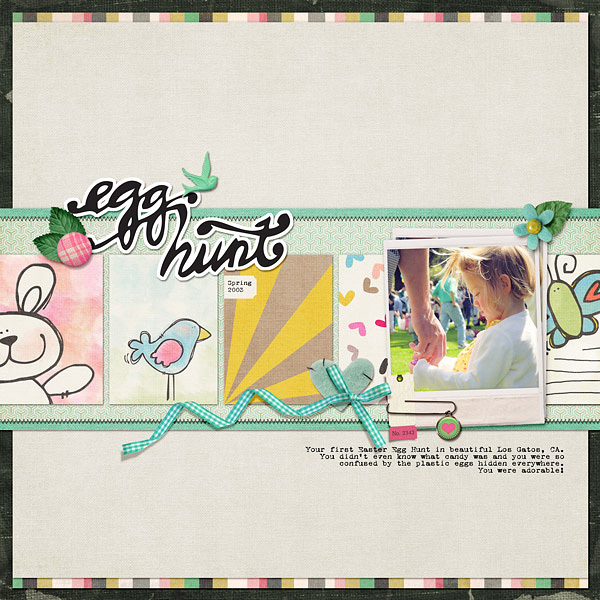 I want to share some fun pages with the amazing products created by Mirjam of Pink Reptile Designs. Mirjam has a fun, bold & eclectic look to her designs … which I absolutely adore. Her kits always have sweet, unique elements, with lots of had drawn pieces and the colors she chooses for her kits are so bright and fun! I’ve been a fan of her work for awhile … and I was thrilled when she invited me to guest on her Creative Team for the month of April. Here are just a few recent products from Pink Reptile Designs, but go check out all the Pink Reptile Designs at The Lilypad … I’m sure you’ll fall in love, like I did. Her latest release is this adorable set of hand drawn watercolor journal cards, Spring Is … that are perfect for those Spring Days ahead (which I am still waiting patiently for … it’s below freezing here at the moment!). 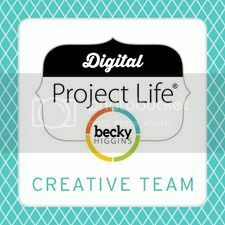 These cards are a sweet center piece for your digital pages and are perfect to add to your hybrid pages too … as PDFs for printing are included! You might want to check out PRD’s Retirement Sale … as a few of those products are on sale at 50% and won’t be around for long! This next page is almost all Pink Reptile Design. This page features some of my most favorite kits from PRD! 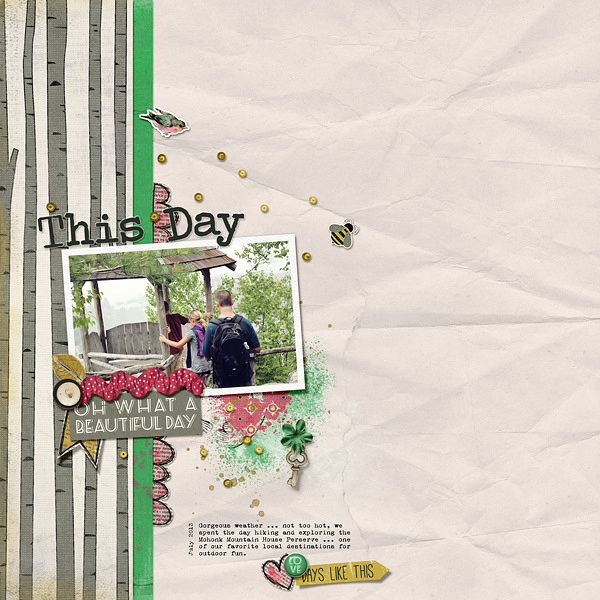 This page is made with the kit, What a Wonderful Day, which is the featured sale item for Something Old, Something New at TLP today. It’s on sale for 50% … & it’s gorgeous! Mirjam also features monthly challenges on her blog … often with a free template. Everyone who participates gets a coupon & one lucky winner gets a $10 shopping spree to the Pink Reptile Designs’ store! Awesome. Check out the current challenge!